Individuals wishing to file for bankruptcy in the state of Hawaii will need to complete a number of forms and follow certain procedures in order to file their petition with the bankruptcy court. Gathering all the necessary information and completing the forms can be a time-consuming process. 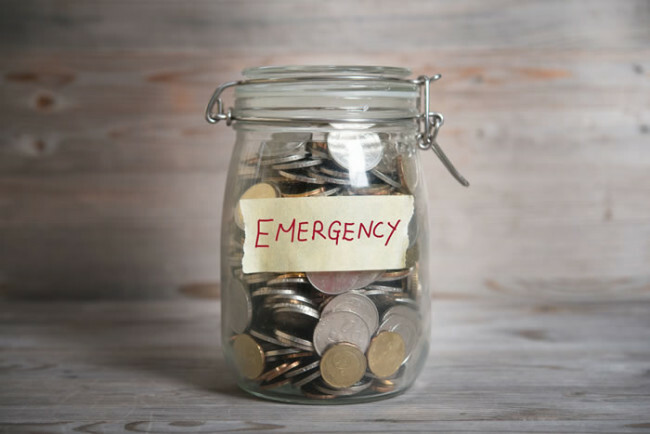 When you are in an emergency situation, such as impending foreclosure or wage garnishment, emergency bankruptcy filing allows you to complete just a small portion of the necessary forms to get your case started. Continue reading to learn more about emergency bankruptcy filing. Why Would You Want to File an Emergency Bankruptcy? When you file for bankruptcy, certain assets are protected from your creditors by an automatic stay. The automatic stay stops your creditors from taking collection actions against you. That means, if you are facing foreclosure on your home, your mortgage lender must stop foreclosure proceedings. If your car is about to be repossessed, you’ll be able to keep your car. Just like anything else, there are limits and exceptions to what an automatic stay can do. For additional information, read: What is the Bankruptcy Automatic Stay? Once the minimal forms that are necessary for an emergency bankruptcy have been filed, the automatic stay takes effect immediately. Filing for an emergency bankruptcy protects your belongings from your creditors and allows you additional time to fill out and file the remaining forms. Here are the steps you need to take to file a Chapter 7 Emergency Bankruptcy. Before you file, you will be required to attend a court-approved credit counseling class. You may be exempted from the class if you are currently in an active combat zone or you are disabled. Otherwise, you can take the class in person, online, or by telephone. You will need to pass a brief quiz after the class to be awarded your certificate. Next, you will need to complete and file three forms to get your case started. The fee to file these forms is $335. Voluntary Petition: A voluntary petition is a three-page form that lists all of your personal information as well as a summary of your case, including how much debt and how many creditors you have. Creditor Matrix: The creditor matrix lists all of your creditors plus any other parties that must be notified about your impending bankruptcy case. Your local bankruptcy court will have specific guidelines about who must be notified. Exhibit D: Exhibit D is the form where you acknowledge the credit counseling requirement. You will need to attach your certificate or show why you should be exempted from the course. Once those three forms have been filed, you will have 14 days to file the rest of your forms. You can request more time if you need it, but be sure not to miss filing deadlines or the court may dismiss your case. If you are filing a Chapter 13 emergency bankruptcy, there are some differences in the procedure. You will still have to take the credit counseling course. You will also have to file the same initial three forms, but the fee will be $310 in this case. You will have the same 14 days to complete the rest of your forms. However, you must establish your first payment plan with your Chapter 13 trustee within 30 days of filing your case, even if you request more time to fill out the rest of your forms. Do not miss this 30-day deadline or your trustee may ask the court to dismiss your case.